Having acne scars and dark spot on face is not something to proud about. It can lead to anxiety, reduce self-esteem, and in extreme cases, depression or thoughts of suicide. Cover it up with make up all the time will make it worst. Furthermore, we are 14 days away from Eid Fitri and of course there will be gatherings, meet the relatives and be in crowd. At that time, we want to be the most outstanding person but acne and dark spot will make you shy to meet peoples especially meeting your crush (?). No stress fellas. I had tried this brilliant product and I fully satisfied with the result. So, if you want get rid of those nasty acne scars and dark spot, make sure you read my review till the end. 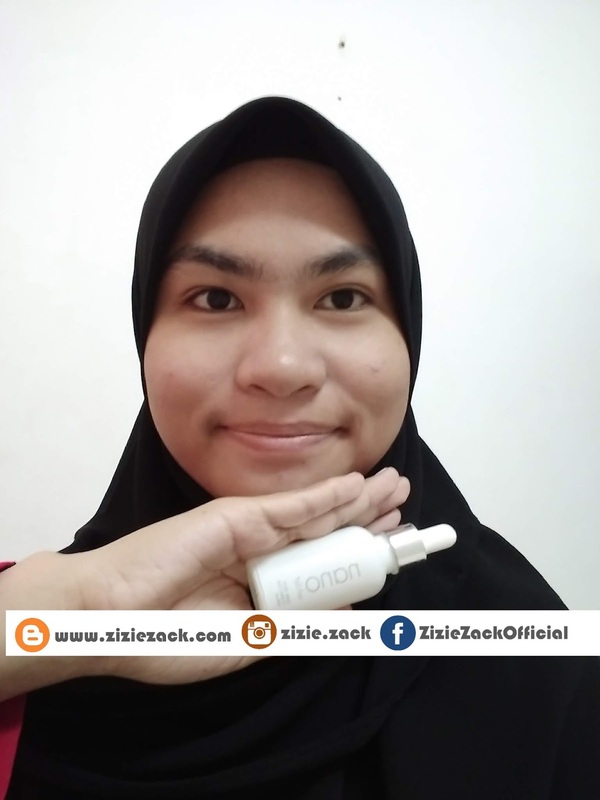 The swift skin improvement was what Malaysian women discovered when they tested the Nanowhite Dark Spot Corrective Serum in a recent home usage test. The Nanowhite Dark Spot Corrective Serum with new LumiLite is infused with three powerful brighteners that help lighten dark spots, reduce acne scars and even out skin tones. It also features the combination of Nano-technology, Omega White-C and Natural Extracts to form a whitening concentrate that penetrates deeper into the skin for better absorption of active ingredients, resulting in luminous and longer-lasting fairness. I had been used Nanowhite Dark Spot Corrective Serum set consistently about 2 weeks and I am very satisfy with the result. Little by little, I can see the difference when my acne scars are almost faded. My skin tone is even fairer than before and there is one time when my operator told me that recently I look more glower. Hihi. Thank you for the compliment. In order to rid skin imperfection and have a newfound flawless and fairer skin tone, you just need to follow one by one these easy 4 steps consistently every day. Remember, consistently every day! Awakening snow wash is a unique, snowy cool cleanser that moisturizes as it cleanses, and does not strip your skin off its natural protective film. HappyDermalogy and nano-technology give your skin a happy glow, leaving it fairer, refreshed and renewed. I have an oily face and I need a suitable product for my skin. 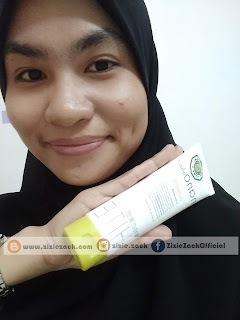 This cleanser is suitable for all skin type and no worries, it really does. This treatment toner tightens and refines pores. It is power-packed with HappyDermalogy, nano technology, Omega White-C, Allantoin, Orange Extract, Lemon Extract and Bilberry Extract to balance and work as an astringent, minimizing pores and removing excess oil without drying the skin. I love how my skin feel fresh after apply it. It is totally refreshing and my skin is breathing. Hee. Dark spot corrective serum infused with Nanotechnology, Omega White-C and Natural Extract is an effective whitening concentrate that penetrates deep into the skin to clear dark sports and other skin discoloration, resulting in brighter and more even skin tone. This serum is so astonishing because my skin is getting fairer. Get lost you acne scar! This cream have encapsulated essence release upon application to ensure maximum efficacy to deliver double action whitening for smoother and more moisturized skin. At the same time minimises appearance of dark spots and brighten overall skin tone. The unique capsule contains concentrated Vitamin C & E to deliver maximum brightening effect and prevent oxidation for longer lasting fairness. All of the products are superb cool. As you can see all of the pictures above, I did not edit the lighting or so on. You can see there are only one little obvious acne is left and it getting healing. Like I said earlier, their products are suitable for all skin types from normal to oily skin. Experience it first, and you will know it. For a preview of how spotless skin looks on you, simply search and download ‘Nanowhite AR+’ mobile app from the Apple App Store or Google Play Store. 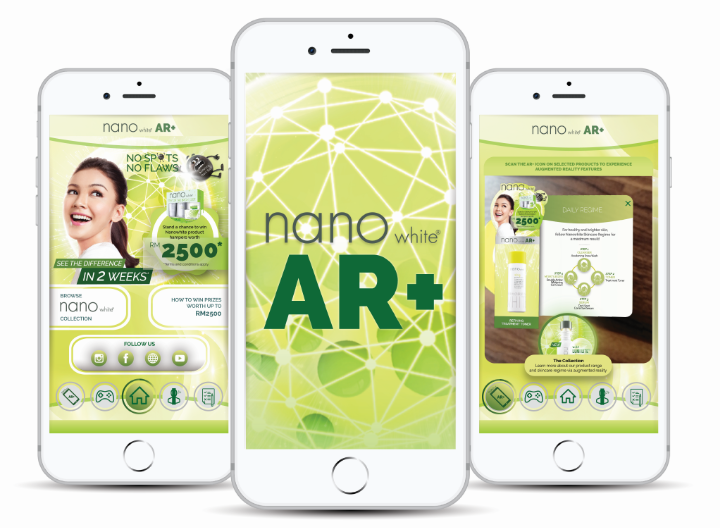 Next, scan the serum packaging with the app, and instantly learn more about Nanowhite’s products and guided skincare steps while visualizing the improvements via the augmented reality function. That’s not all fellas. 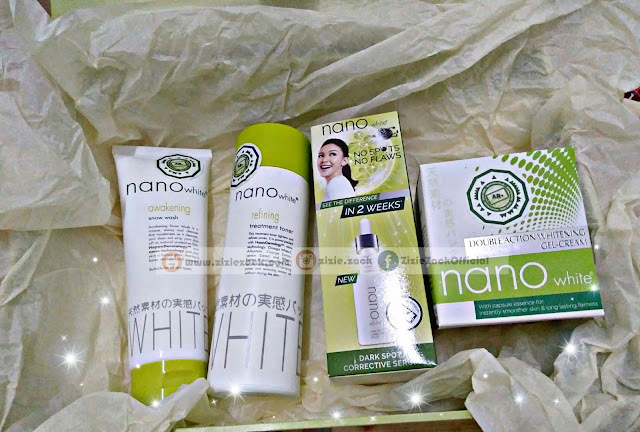 App users stand a chance to win Nanowhite product hampers worth RM2,500! All you need to do is fill in the survey form in the Nanowhite AR+ mobile app, and lucky winners will be notified by phone. If you are interested to get 30ml Nanowhite Dark Spot Corrective Serum, you can grab it at all major pharmacies and supermarkets nationwide for RM 69.90. Don't loose the chance, grab it and get pretty this Eid Fitri. 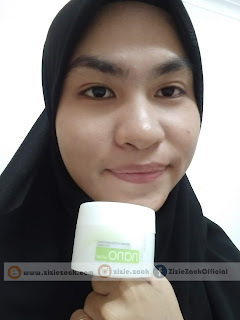 Baca banyak juga reviews yang kata Nano White ni agak bagus. 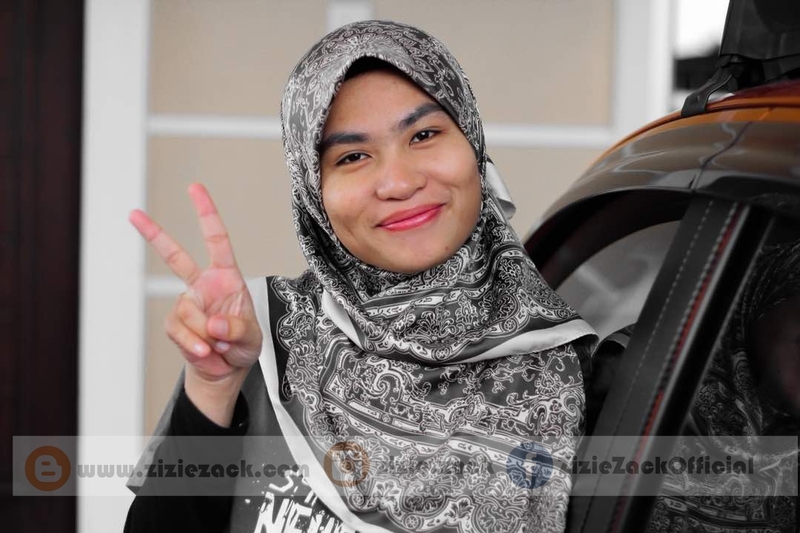 Tapi tak pernah cuba lagi sebab Nano White tak available kat sini.